Thanksgiving is next week, can you believe it? This year has absolutely flown by, and the fall has been on extra warp-speed. Iâ€™m okay with it, though. I love fall and the coziness and warmth of the holiday season. Iâ€™m looking forward to spending Thanksgiving morning watching the Macyâ€™s Thanksgiving Day Parade with our kiddos, while preparing yummy food for our big dinner at my sister-in-laws. If youâ€™ve never tried pecan pie, I highly recommend it. Itâ€™s sweet, nutty, and full of ooey gooey goodness. Everyone needs a little pecan pie in their life sometimes. 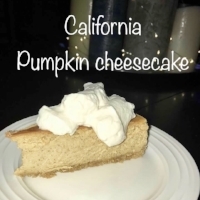 Top it off with a dollop of fresh, homemade whipped cream and you will be in Thanksgiving heaven. The first time I made pecan pie was also the first time I tried pecan pie. Itâ€™s one of Aaronâ€™s most favorite desserts, especially around the Holidays, so about 4 years ago when I was making the Thanksgiving dessert list, he mentioned pecan pie. I had never tried it before because honestly it kind of grossed me out; I just assumed it was like fruit cake, always around for parties but never actually eaten. I decided to try to make one for him, though, and Iâ€™m so glad I did! Love at first bite! Now I make pecan pie every Thanksgiving and Christmas. Itâ€™s definitely an indulgent treat, so if youâ€™re looking to save on calories/sugar, this isnâ€™t the recipe for you. But if you want a sure crowd-pleaser, this will be a great choice! Iâ€™ve tried a few different recipes over the last couple of years, and last year I finally perfected it. Iâ€™ve adapted Guy Fieriâ€™s Southern Pecan Pie recipe thatâ€™s on the Food Network website. I use the same ingredients/ratios that he does, but I do 2 things differently: first, I toast the pecans in the oven first, which really enhances their flavor and aroma, and then I also brown the butter, which adds a depth and nutty complexity to the flavor and elevates the whole thing. As I mentioned in my Homemade Oatmeal Cream Pie cookie recipe, browned butter is A.M.A.Z.I.N.G. It tastes so so good in baked goods, and it only takes about 5 minutes or so to do it. Browned butter also smells incredible, and youâ€™ll be able to detect the smell as itâ€™s baking. Itâ€™s my favorite baking trick to use. Iâ€™m not listing a pie crust recipe, because, to be honest, Iâ€™m not a big fan of pie crust. I love pie, but the crust is usually my least favorite part, and Iâ€™m super picky about the ones I do like. Iâ€™ve tried making my own before, and I just didnâ€™t like the taste, texture, or the high-maintenance of it, so I buy the pre-made raw ones that you unroll and form in your pie pan. There are several brands that make all-natural or organic versions; my personal favorite is the Simple Truth organic one. Use whichever one you prefer though, or make your own pie crust if thatâ€™s your thing. Homemade whipped cream is THE BOMB. If youâ€™ve never made it or tried it, YOU NEED TO. It is so so easy, and once you try it you will never want those cans or tubs again! I make mine sweetened, because, sugar. ðŸ¤·ðŸ�¼â€�â™€ï¸� I could literally just eat it by itself with a spoon. And in full discretion, Iâ€™ve totally done that before. Itâ€™s okay, this is a judge-free environment. As Iâ€™ve mentioned before, Iâ€™m not a big fan of having to scroll miles down the page to get to a recipe, so as promised, Iâ€™m going to list it now. For a more in-depth and detailed explanation of how to make this pie and the whipped cream, keep scrolling after the recipe for pictures and more how-toâ€™s. Toasted pecans and browned butter elevate this classic Thanksgiving dessert. Homemade whipped cream is the perfect addition for an explosion of flavor on your tastebuds. The pie is adapted from Guy Fieri's Southern Pecan Recipe, and the whipped cream recipe is courtesy of Land O Lakes. Toast pecans by placing them on a baking sheet and putting in the preheated oven (350 degrees) for about 5-7 minutes (until they start smelling lovely). Watch carefully though, because they can burn quickly! Once toasted, set aside on pan and allow to cool some. Brown the butter. To do so, place butter in a medium-sized pot (preferably stainless steel or one with a light colored bottom) and heat over medium heat, whisking it so it melts evenly. Once itâ€™s melted, the butter will start to foam up. Whisk constantly, watching the bottom of the pan for brown bits to form. Once you start to see brown bits, leave on the heat for about 10 seconds longer or so and then remove from heat. The butter can go from browned to burnt quickly, so make sure you whisk that whole time. Transfer butter (with the browned bits!) into a metal or heat-proof pan to cool for about 10 minutes, while you prepare the rest of the ingredients. (Detailed pictures below). Prepare your pie pan. If youâ€™re using a pre-made crust in a tin, youâ€™re all set. If youâ€™re using a pre-made uncooked crust, make sure to let it come to room temp before attempting to unroll it into the pan. If youâ€™re making your own crust, you probably already know what youâ€™re doing, so youâ€™ve got this. Whisk the corn syrup, brown sugar, salt, butter, and vanilla in a medium bowl until well combined. In a small bowl, lightly beat the eggs with a fork, and then pour them into the corn syrup mixture and whisk until combined. Using a food processor, blender, sharp knife, or freezer bag with a rolling pin, finely chop 1/2 cup of pecans (I like to make them super fine, like a coarse flour almost). Spread these evenly over the pie crust. 7. Roughly chop another 1/2 cup of pecans and add them into the filling mixture. Pour the filling mixture into the crust. Arrange the last 1 cup of pecans on top of the filling. I like to arrange them in a pretty pattern, but it can be tedious so do it how you like! Bake the pie for approximately 40-50 minutes at 350 degrees. Youâ€™ll know itâ€™s done when it just barely wiggles only in the very center. Let cool completely; I set mine on a wire cooling rack. Serve with fresh whipped cream. Let your bowl and whisk attachment get nice and cold in the freezer for at least 20-30 minutes before making. Iâ€™ll usually just sit it in there when I start making the pie so I donâ€™t forget. Pour the heavy whipping cream into the chilled bowl. I recommend using a standing mixer if you have one, but you can totally use a handheld one as well. Professional pastry chefs can hand-whip whipped cream, which blows my mind. Thatâ€™s some incredible forearm power. Add the sugar to the cream. Whip the cream and sugar on high speed until stiff peaks form, about 5-6 minutes. Scrape the sides of the bowl as needed. Once itâ€™s nice and whipped, do a quick taste/texture test to make sure the sugar has fully dissolved and isnâ€™t gritty. If still gritty, whip it for another minute or two, or until itâ€™s fully smooth. Gently fold in the vanilla. Can be made ahead; Iâ€™ll typically make mine the afternoon/evening before I need it. Store in the fridge for 3-4 days. I would recommend letting it come to room temp again before serving.